CHINACOAT has been serving the global industry since it was firstly held in 1996. 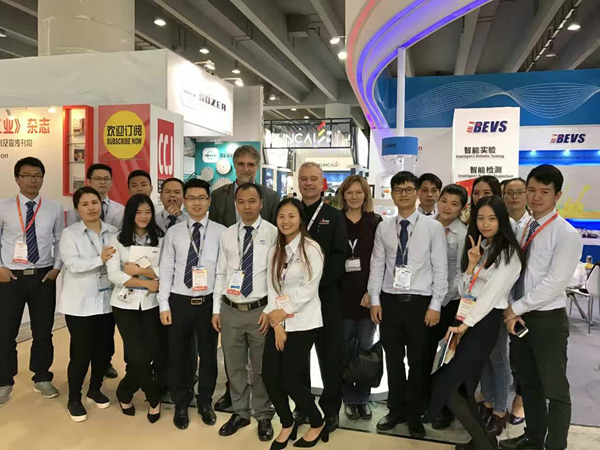 It is a definitive one-stop platform for visitors to source full range of products, to gain exposure to new trends and to become more knowledgeable about the industry. BEVS, as an old friend of the show, brought the advanced technologies on this stage. 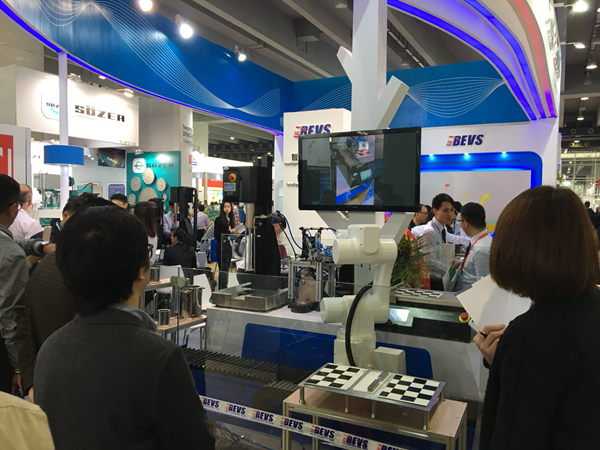 Firstly, BEVS Intelligent Robotic Testing and Inspection System was a focal point on spot. 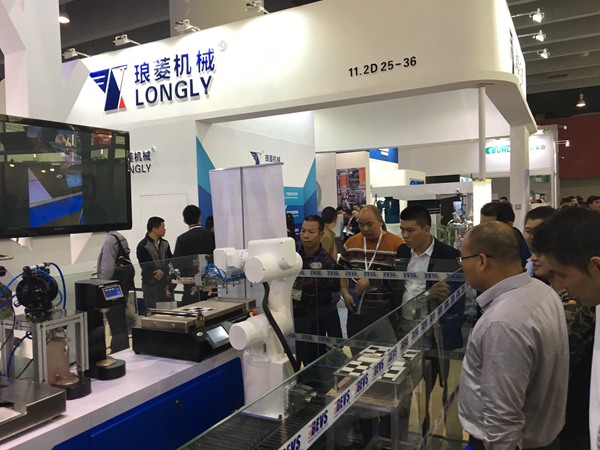 With the constantly upgrading in industry 4.0, the robot and internet of things play the more and more important role in technology revolution and industry upgrading for the traditional industry such as manufacturing etc. The traditional manual testing and inspection are also replaced by robot. 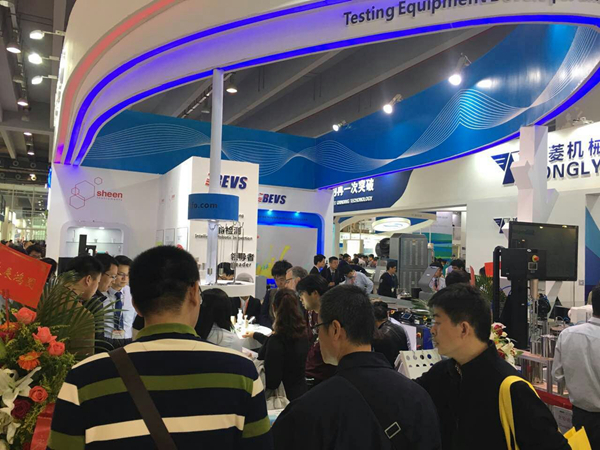 Secondly, BEVS displayed new products such as Tri-Glossmster, Automatic Particle Analyzer as well. BEVS Automated Particle Analyzer which can automatically draw down the sample on the grind gauge, generating the image by a high resolution camera under the light source, the image is processed by using customized software to generate the rating on the touch screen. It ensures that repeatability and accuracy for the testing result, avoiding human errors and greatly improving production efficiency. 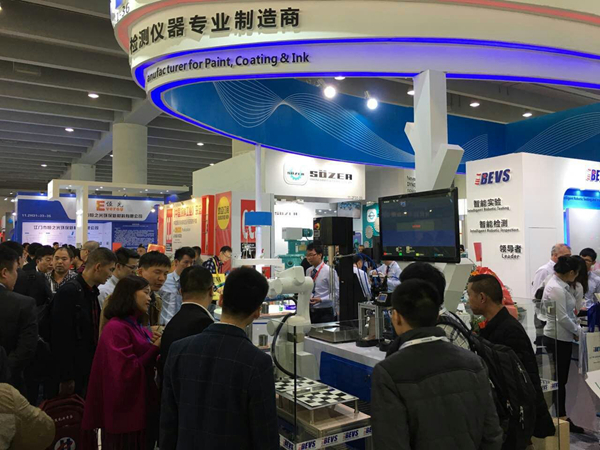 BEVS will continue to provide professional testing equipment for paint, coatings and ink and push the industry a step forward.